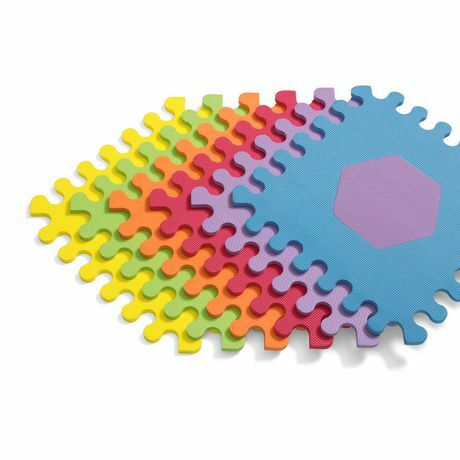 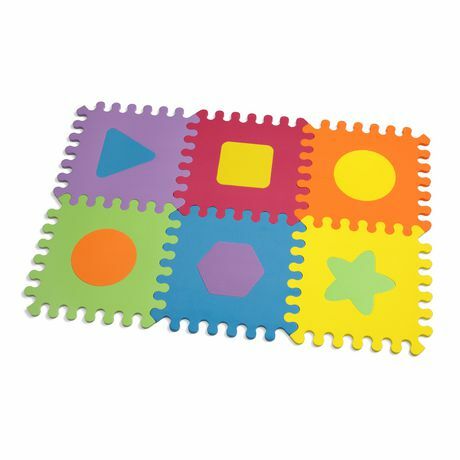 Babies will love this brightly-colored interlocking foam mat. 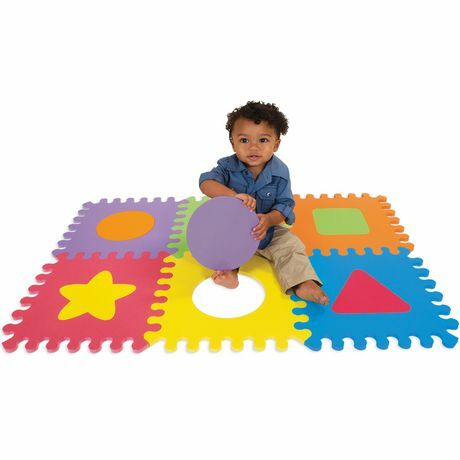 The textured pieces provide early sensory interaction & pop-out puzzle shapes encourage grow-with-me play. 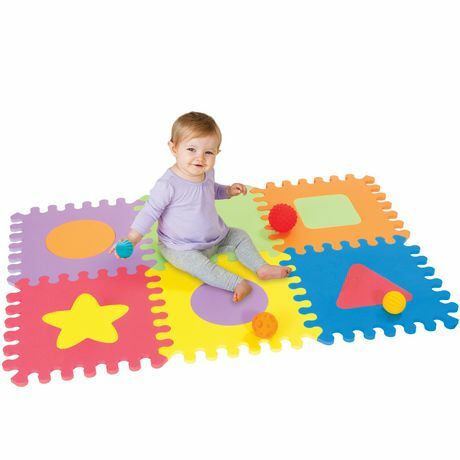 Increase baby's play space with the purchase of additional sets.